The natural law is man's grasp of God's Will acquired through astute observation of creation and by the use of right reason about what he observes. The Church teaches that man can come to know the existence of God by natural law apart from revelation. A basic understanding of the Ten Commandments is also attainable from natural law as demonstrated in various pagan cultures, which have similar codes of conduct. Man's conscience too, uninformed by revelation, also bears witness to the natural law when he experiences guilt after violating his naturally formed conscience. The analogy of an automaker serves to contrast the natural law, also called reason, with the divine positive law, also known as revelation. In the analogy, God's the carmaker and creation is the car. A reasonable and astute man is the good mechanic who learns by observation and common sense how to operate the car even before reading the owner's manual, which analogously is the Bible and oral tradition. The automaker makes the car to be operated in a specific way much like God makes creation to function in a specific way. The mechanic, for instance, knows the car can't be started by putting the key in the tailpipe and thus knows by common sense or right reason that the carmaker never intended for the car to be operated that way. So too, a common sense person of good will can see that God didn't design the body to perform homosexual acts and can thus conclude that such acts are contrary to God's Will. Such conclusions are said to be known by natural law or common sense. What the mechanic learns by experience and reason isn't contradicted by the owners manual, but rather is reinforced and fine-tuned by it. This is shown in the Sermon on the Mount when Jesus safeguarded and elevated the Old Testament law to a spiritual level by equating such things as physical murder with spiritual contempt and physical adultery with spiritual lust. 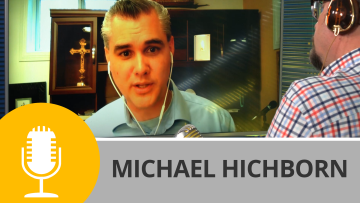 Explore man's participation in the natural law in this episode of Church Militant's Premium show, Right Reason—Man and Natural Law.